Click here to view our catalogue of Can-con Manufactured Products. 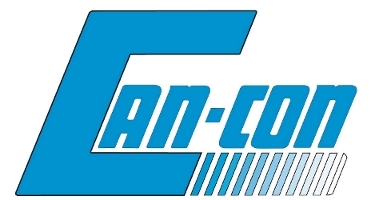 Can-Con builds customized fittings to suit your needs. We are able to build these anywhere from 3/4” up to 14” using specialized equipment. 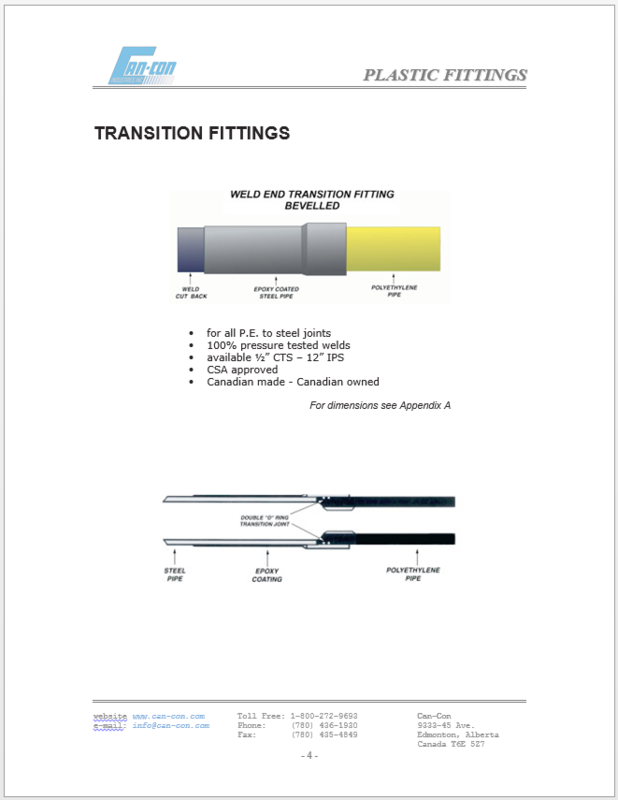 Ideal for gas applications requiring a steel-to-polyethylene transition. Available in A106 and A333 steel and can be Vic Grooved or threaded. Ideal for water applications requiring a steel-to-polyethylene transition. Transition service risers are used to carry out the transition from plastic pipe below grade to steel pipe above grade. Since the steel pipe is the gas carrier below grade, an anode is supplied to provide cathodic protection and prevent corrosion. Anodeless Service Risers, like transition service risers, provide the transition from steel to plastic pipe, however, an Anodeless service riser will not have gas being carried through steel below grade and thus has no need for an anode to protect against corrosion. Like Anodeless service risers, Anodeless Flex Risers raise a gas pipeline from below to above grade, however rather than a solid plastic pipe, a flexible, coated metal casing is attached by threading to the bottom of a steel riser casing. A service head adapter riser is a mechanical service riser. It is simple to install, all that is required is a wrench. The pipe is not fused on to this riser.